Tyan OEM production run similar to Tyan S8226WGM3NR motherboard. The S8229WP holds 2 socket C32 processors. S8229WP has a 90 Pin Direct Connector to the SAS backplane. 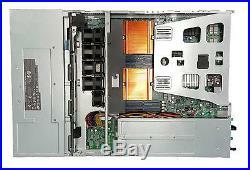 (4) Bay 3.5in SAS 6.0Gb/s Backplane. (4) DIMM slots per CPU (8 sticks) for up to 128 GB of memory. (7) USB 2.0 ports (2 at rear, 4 via cable, 1 type A onboard). (2) PCI-E x16 riser cards (Tyan M8229-L16/R16-3F). Comes with heat sinks and rails. 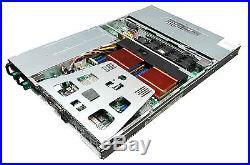 The item "Tyan 1U NAS 4-Bay Production Server OEM- SAS/SATA 6GB 3.5'' with 2x 4-cores" is in sale since Wednesday, May 27, 2015. This item is in the category "Computers/Tablets & Networking\Enterprise Networking, Servers\Servers, Clients & Terminals\Servers". The seller is "mcubedglobal" and is located in Sunnyvale, California. This item can be shipped worldwide.